First, thank you for affording me the opportunity to seek free counsel. I'm currently married to my high school sweetheart since 2010. We met in 2002 and live really fruitful lives- great careers, good income, beautiful family, new home, great friends and family. Most people would define us as a power couple but rarely do they realize how difficult it is to communicate and respect boundaries in our marriage. My husband has anger issues and I was raised with watching my mother severely abused constantly. Unfortunately, I've married a guy with a lack of self-control and anger issues. He has never hit me but he has grabbed me, pushed me, got in my face, threatened me, etc. As I write this, I actually have scratch marks across my face from him attacking me last night. I understand that women stay because of commitment, love and the fight for change. I'm highly educated and a strong willed person who does not simply bow down to attacks. I fight for myself but often surrender prior to it getting completely out of hand. I do not understand someone who hurts their loved ones intentionally and chooses not to exercise self-control or restraint. We are currently attending counseling irregularly because of demanding schedules. My husband also believes it's pointless to attend as soon as an incident occurs. I guess my question to you is, when is it best to walk away and request separation? We have a two year old who I'm trying to give the best shot at life and break generational curses simultaneously. I do not want him to witness abuse but I agreed to a covenant before God that I would honor my husband and this marriage. Is He Fulfilling His Role In Your Marriage? I do want to stay but a part of me wants to take a chance and leave...maybe permanently. However, I know that anything is possible and we can make this work. If so, how? 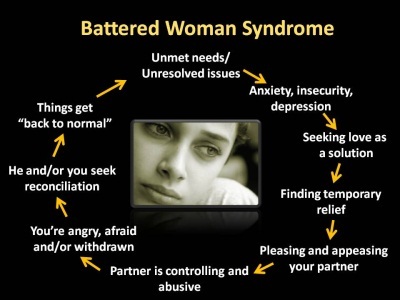 What are best practices for change in an abusive marriage? When things start to flare up, who walks away? Do I need to surrender more? Or do I need to leave and set new boundaries prior to moving back in together? These are my questions. Please help me. Hello Krystal, and thanks for telling your story here. I will offer you some things to consider, which will hopefully help you to answer your own questions. Do you feel respected by your husband? The abuse you describe is significant, and your personal history might by making it hard for you to see clearly what is right for you. If you do not feel respected, then you are not truly loved. Respect is the beginning point, and love is built on that. Without respect, you do not have love, and without love you do not have a true marriage. 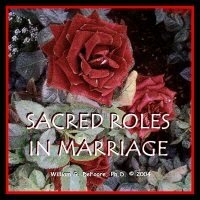 There are sacred roles in marriage that must be fulfilled for the relationship to be true, strong and healthy. You are a wise woman, Krystal. Spend some time in deep meditation and prayer, give yourself time, and you will be guided to the best decision for yourself and your family.